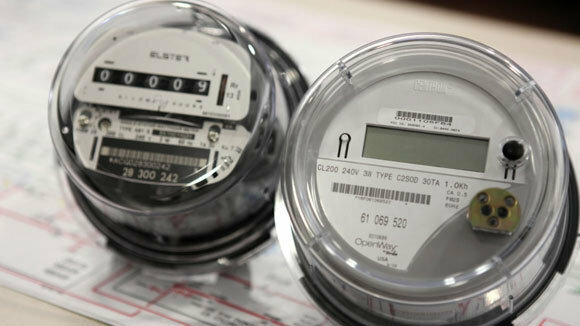 Utilities, smart meter manufacturing companies and the government all tout the need for implementation of smart meters and smart metering equipment. Unfortunately these initiatives are bound to fail for two reasons. I share the reasons below and also propose a way for the stakeholders in the future of the energy industry (consumers, utilities and governments) to save themselves a lot of wasted money and time. 1. Why would I give the utility control over my power usage? Like our need for belonging, research shows that need for control is a biological imperative for survival. By our very nature we want to take control of our environment. It’s partly why cavemen ventured outside their caves. The ability to make a choice is a way by which we like to exercise control. Where the ability to make a choice is taken away we feel less in control. The loss of ‘control’ is the basic premise on which in-home smart meter equipment is built; install a smart meter in your home and the utility will be able to understand your energy use patterns and, where your appliances are connected, reduce/increase your energy usage. The vast majority of customers do not trust their utility and giving the same utility control of equipment in their homes is unlikely to happen soon. 2. Why install a smart meter when you have a smart phone? A smart meter-monitoring device is a small appliance (similar to a the thermostat you currently have in your home) that you install in your home to see what’s actually going on with your energy in your home. Some have fancy dials, display colors etc. The issue here is that it is still another piece of hardware that in most cases the consumer will have to pay for and then have installed in their home. Some of you are probably reading this article on a smart phone. The rest of you, reading on your desktop or laptop, can look round and there is someone close by with a smart phone. That smart phone has more computing power than all the computing power President Clinton had when he was in office. The combination of the smart phone and home appliances with sensors that allow these appliances to communicate with other equipment/appliances (‘the internet of things‘) will make the expensive in-home smart meter monitoring tools redundant. Smart phones will help us avoid the mass waste inherent in manufacturing said monitors and improve the process of communication. The brilliance of using smart phones as the information collection and display mechanism is actually dwarfed by the control you can have with your smart phone (an unintended consequence that solves the issue created in my first point above). Controlling home appliances from the phone your head is currently buried in does not even require a change of behavior. With these two issues of loss of control and equipment redundancy how will the utilities ensure smart meters/monitoring equipment aren’t dead on arrival? The engagement mechanism with their utility will be a web/mobile based interface that connects and communicates the information from the smart devices to the utility through their smartphone. That interface will be something like the Interactive Bill that shows you exactly where you spend money in your home (at no cost to you) and tells you where to reduce those costs (again at no cost to you). Full disclosure: my company built the interactive bill. Consumer volunteered information (like the bill will provide) will give the consumer control and the utility will get the information it requires to ensure the ‘informed consumer’ is getting the best service possible. Win-Win for all involved. Only then will the smart grid succeed.